Many people from the DaaS (Desktop as a Service) community cried foul over why OnLive can come away with using Windows 7 in their OnLive Desktop service, when they can't. Joe Matz, Microsoft Vice President of Worldwide Licensing and Pricing responded to these accusations in a blog post that they are actively engaged with OnLive with the hope of bringing them into a properly licensed scenario, and they are committed to seeing this issue is resolved. 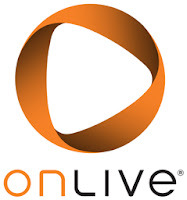 Well, it looks like OnLive and Microsoft have resolved their licensing issue as OnLive has changed the underlying operating system that runs in their data centers and gets streamed to OnLive Desktop users. OnLive has changed their OnLive Desktop operating system from Windows 7 Enterprise to the Standard Edition of Windows Server 2008 R2, which should be in compliance with Microsoft VDA and SPLA licensing, as suggested in the blog post from Microsoft's Joe Matz. Some people have suggested that OnLive's licensing of Microsoft Office 2010, that they offer as part of the OnLive Desktop service, is also illegal. We'll have to wait and see how OnLive and Microsoft will work out that possible issue, if it is an issue. 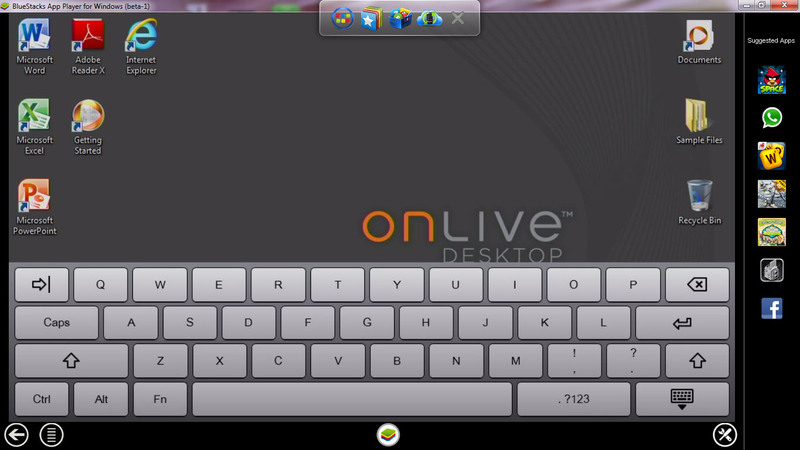 As part of the change to Windows Server 2008 R2, OnLive Desktop has undergone some cosmetic and functional changes. The on-screen keyboard was changed to one that is more pleasing for users. The bad news is that the on-screen keyboard lost the handwriting recognition, which was very handy for many people. One good news is also that OnLive is working hard on their video compression algorithm for OnLive Desktop. Previously, no matter what connection was used, every couple of minutes the screen would get a little blurry, then clear up. Now, you can sit at a Starbucks with a number of other people on the Wi-Fi network and OnLive Desktop stays totally crisp and clear the entire time. Even if you get a slow network warning, the screen stays crisp.